Transportation for America is pleased to announce that Bozeman, Montana; Buffalo, New York; and Mariposa County, California have been selected to receive State of the Art Transportation Trainings. These three communities will each receive tailored technical assistance to equip them to utilize arts, culture and other creative approaches for solving specific transportation problems. Why arts and culture? 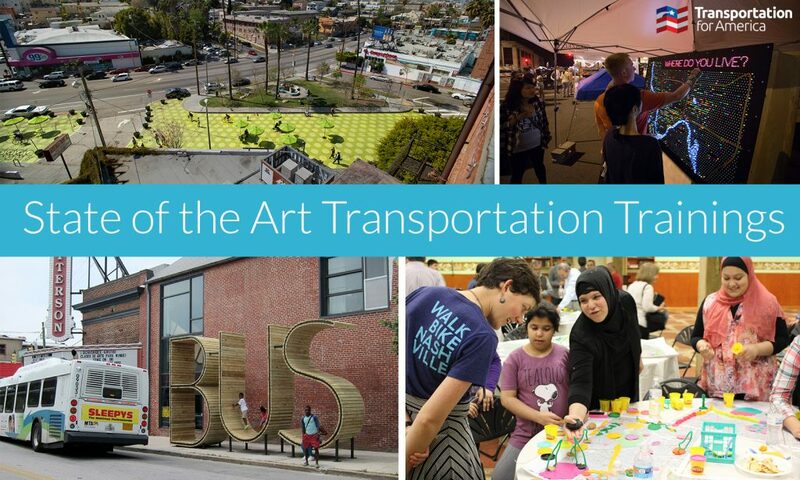 T4America deeply believes that artistic involvement can help solve entrenched transportation problems by thinking outside the manual and bringing in fresh approaches to the process. It can help heal communities divided by destructive infrastructure, generate more local buy-in for transportation projects, bring diverse constituents to the table, and create a sense of place that reflects local values of the communities transportation systems serve. “With more than 40 communities applying for these workshops, we were struck by the range of inspiring ideas that communities have for incorporating arts and culture into the transportation planning process. These three places rose to the top of a very competitive pool, and we’re eager to help equip them to effectively collaborate,” said Ben Stone, director of arts and culture for Transportation for America. A team from this booming region wants to creatively engage citizens and the arts community in the once-in-a-generation opportunity to imagine the future of a more robust regional transit system. Core to their strategy is harnessing and expanding the expertise of the arts community to build political and public will. Bozeman is one of the fastest growing micropolitan areas in the country, rapidly evolving into a metropolitan area with a population that is predicted to double again from 100,000 to 200,000 in the next 25 years. They’re on the cusp of creating a metropolitan planning organization to coordinate regional planning efforts across a three county-area. As Bozeman starts trying to think and plan regionally, many of their leaders and advocates want to proactively start developing the relatively small Streamline regional transit system to provide more mobility options, take cars off the road, and reduce the need for expensive new lane miles as the region grows. With the three main county jurisdictions in the Gallatin Valley all beginning updates of their comprehensive plans this spring, Bozeman’s leadership has an opportunity to engage their citizens and the expertise of the arts community to build political and public will to adequately fund a truly first-class regional transit system. With an existing city ordinance requiring public art to be integrated into all infrastructure investments, the city wants to improve the process by which those projects are developed, helping city engineers and planners more successfully collaborate with artists to create public art that empowers residents to take ownership of their neighborhoods. 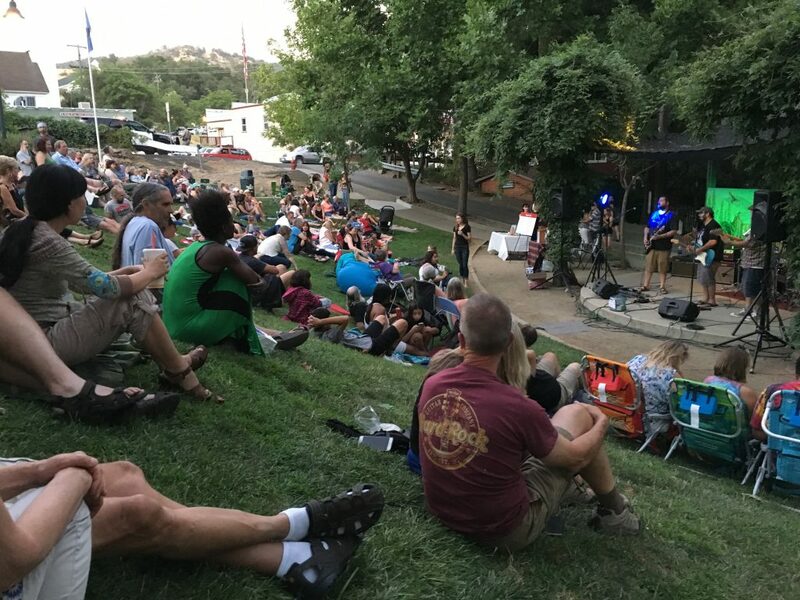 In a city that was once an industrial powerhouse but has suffered from years of economic decline, the arts and culture community is still alive and active, and residents are taking ownership of their community once again thanks to the empowerment of neighborhoods, investments in the local economy, and development of infrastructure. 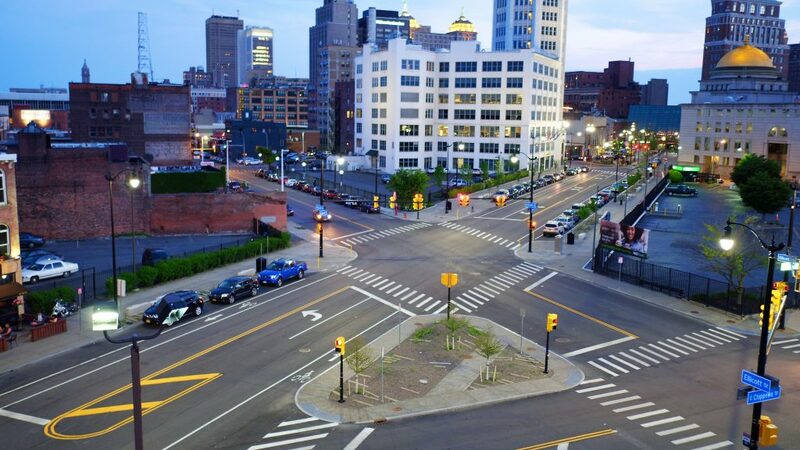 Buffalo is embarking on infrastructure improvements to a 2.5-mile corridor along Main Street that will improve pedestrian crossings, coordinate signals and build a new cycle track to make bicycling safer and more convenient. To ensure that the public art implemented with this specific project is representative of the people of the neighborhoods, aesthetically cohesive, and a functional long-term asset to the community, the city will use the workshop to creatively engage with the Department of Public Works, Buffalo Art Commission, and local community members. 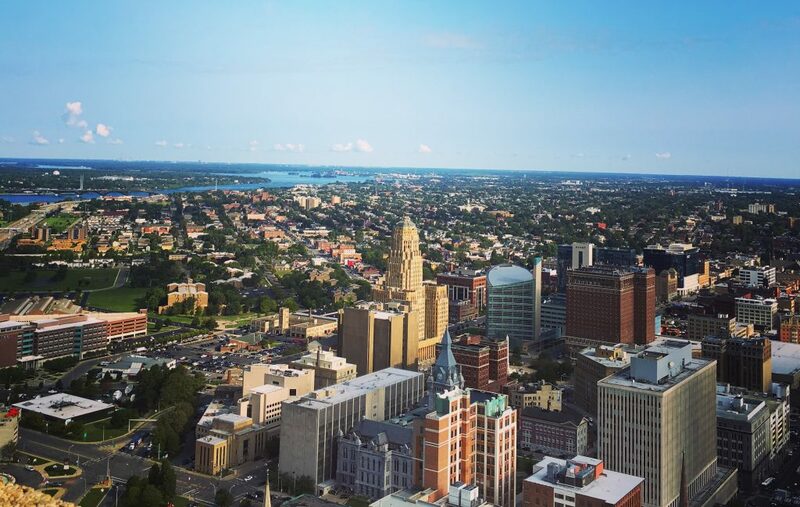 Buffalo’s team hopes that this training will help them learn how to integrate public art in ways that are not only representative of the community, but also improves the quality of life for residents. In this small northern California mountain town that serves as a popular gateway to Yosemite National Park, the workshop will bring a wide range of people in the community together to redesign a public space and help incorporate art into the development of a multimodal trail that will link community destinations and encourage healthy living while celebrating local culture and the environment. Mariposa County occupies 1,463 square miles of the Sierra Nevada foothills at the western gateway to Yosemite National Park and hosts over one million annual visitors. The residents of Mariposa County are older and more likely to be obese than the rest of the state, and have far less access to physical activity than nearly all other California counties. Though the town of Mariposa features pockets of dense, walkable fabric, the bulk of the county is defined by conventional auto-centric land use patterns which, when coupled with extraordinary congestion from park visitors, severely limits mobility and detracts from the sense of place. 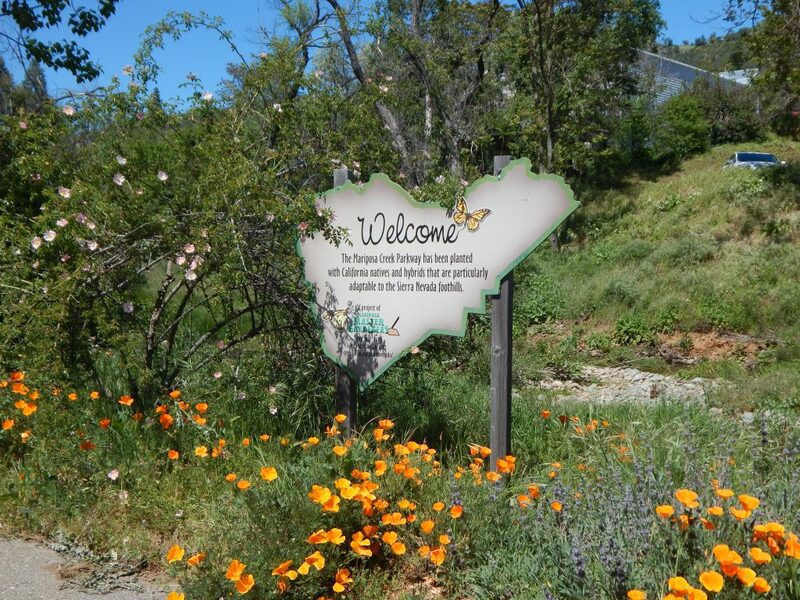 The community has long supported building a multi-use path along Mariposa Creek, a 40-mile tributary of the San Joaquin River running through the county, and Mariposa County currently has funding from Caltrans to support the development of portions of this path. With a generational opportunity to build an important piece of infrastructure, the team from Mariposa wants to fully explore the role of art and design in shaping the Parkway, learn more about how to leverage art and artists to influence outreach and engagement during its design and planning, and how to use art to compellingly celebrate the stories and experiences of our community.